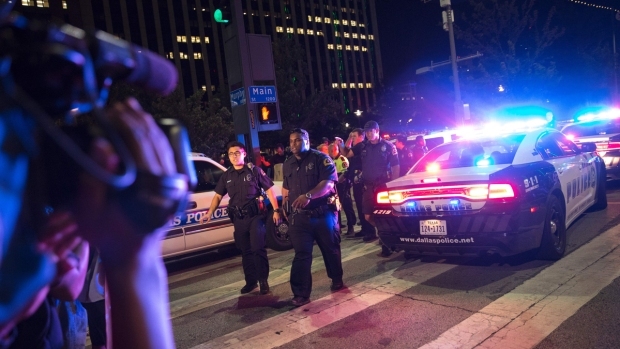 Several downtown Dallas streets remain closed due to the police investigation following Thursday night's deadly shootings. 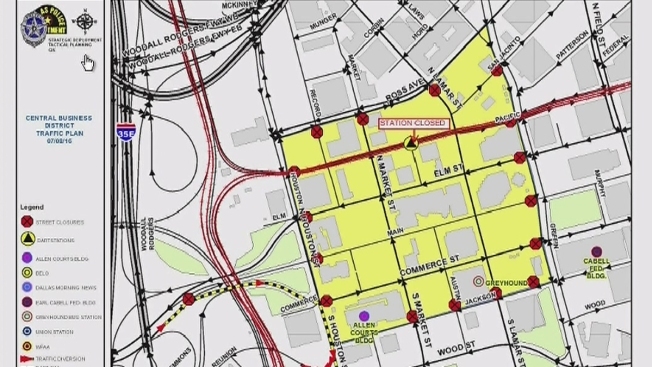 The area from Record Street to Griffin Street; and Ross Avenue to Commerce Street will be restricted to law enforcement only Friday. El Centro College is also closed Friday and classes there are canceled for the day. The opening of AT&T's downtown Dallas campus was delayed until 10 a.m. Employees who work downtown are asked to check with their supervisor about the possibility of working from home or a different AT&T location. DART will operate trains through downtown this morning, however, they will not serve West End Station. The TRE will operate to Union Station. DART buses that serve CBD West are being moved to CBD East. Those buses will board on Pacific between Pearl and Olive. Information on any other business closures has not yet been released. Mayor Mike Rawlings asked people who work downtown to check the city's website, Dallascitynews.net, for updates.